Happy Holidays! I am thankful for so much this year. This is the year that I got published! And since that first glorious yes I have had 3 books come out! And have two more being released very soon! Begin Again is a heartwarming story perfect for the holiday season. 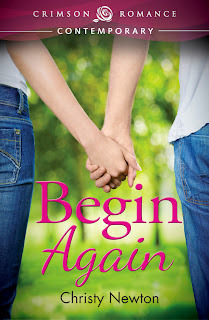 Begin Again is part of my Love Again Collection. Trust Again will be released on February 2, 2014. I’ll be revealing that cover, December 1st on my author page so be sure to like my page and watch for new releases as well as raffles! I’ll leave you with my recipe for a cozy, happy winter! *For best results, mix together and add extra chocolate.